June 23, 2016, the Colorado Department of Agriculture, State Veterinarian's Office, was notified by the USDA National Veterinary Services Laboratory (NVSL) that a non-racing horse presently located at Arapahoe Park in Aurora, CO tested positive for Equine Infectious Anemia (EIA). Confirmatory tests are currently being run. Arapahoe Park is currently under a hold order that restricts movement of horses until an initial investigation is completed by the Colorado Department of Agriculture (CDA). The affected horse has been in Colorado less than 60 days and came from an out-of-state track. It appears that the horse was infected prior to coming to Colorado and previously tested negative for the disease in May of 2015. Because the disease is most commonly spread by biting flies and it is very early in Colorado's fly season, the risk of disease transmission to other horses at the track appears to be relatively low. CDA and USDA Veterinary Services will be working with Arapahoe Park and the horse owner to gather more information to appropriately respond to the initial positive EIA test. What is Equine Infectious Anemia? 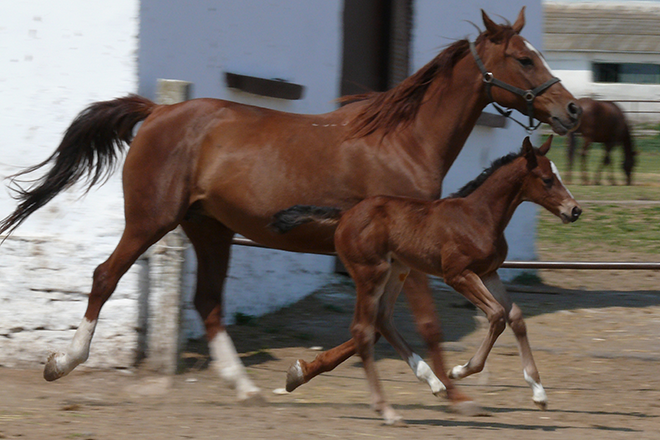 Equine Infectious Anemia is a viral disease spread by bloodsucking insects that affects equine animals such as horses, mules and donkeys, which breaks down red blood cells. Horses may not appear to have any symptoms of the disease, although it also can cause high fever, weakness, weight loss, an enlarged spleen, anemia, weak pulse and even death. It is spread most commonly through blood by biting flies such as horse flies and deer flies. What happens to an infected horse? There is no cure for the disease, so infected animals have to be quarantined for life or euthanized. Is there a danger to people? No. The disease can only be spread to horses, mules and donkeys. No. There has only been a small number of cases in the United States, although the disease exists in other parts of the world. A map of cases from the year 2015 is available at https://www.aphis.usda.gov/aphis/ourfocus/animalhealth/animal-disease-information/horse-disease-information/equine-infectious-anemia/ct_eia_distribution_maps . How is the disease controlled? Equine Infectious Anemia is a disease for which horses must be tested annually before they can be transported across state lines. The test for EIA is commonly called a Coggins Test. The horse at Arapahoe Park last tested negative in May of 2015.